On February 13th of this year, the USA Weightlifting (USAW) Board of Directors voted to remove CJ Stockel as chairman of the board (without cause) and elected Ursula Papandrea to fill the leadership position for the balance of the year. Two months later, and it’s almost impossible to find any public discussion on the significance of this change. 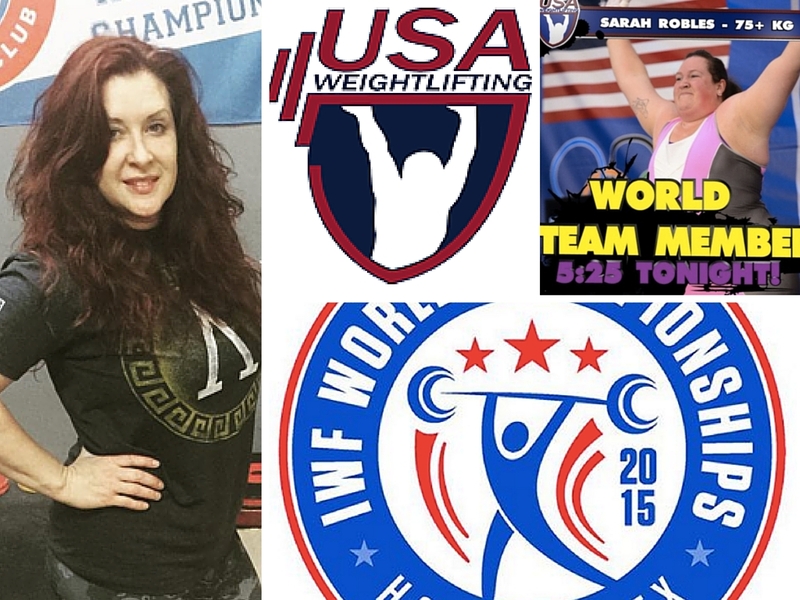 I reached out to current leaders within USA Weightlifting to gather their side of the story. Phil Andrews, USA Weightlifting’s newly announced CEO, declined to comment. CJ Stockel did not respond to my request for a comment. Ursula Papandrea is the new Chair of USA Weightlifting. I believe everything in Papandrea’s statement to be true, and her statement is very much in line with the bylaws of USA Weightlifting. She made no indications that this stemmed from any wrongdoing of the board under Stockel’s chairmanship or by Stockel himself. However, Stockel’s tenure was not without controversy. During Stockel’s tenure, as one complaint covers: the USAW Board of Directors placed an allegedly ineligible athlete (Sarah Robles) on the 2015 Senior World Team instead of Caitlin Hogan, an athlete who had qualified as an alternate to the team through USAW Qualifying Procedures. Waxman’s Gym ended their grievance before the World Weightlifting Championships, and the full team — with Robles — competed. With Sarah Robles on Team USA, the Americans scored 109 team points, finishing in 14th place and earning three Olympic spots for US female lifters. Sarah personally had the highest place finish of any American woman with her 6th place finish in the 75+KG weight class. The only people who know exactly what happened on February 13th are the USAW members of the board and their legal representation, and it’s impossible to definitively say Stockel’s replacement stemmed from the events surrounding World Championship Selection. But the fact remains that USA Weightlifting now has new leadership at the helm, and that has important implications for the sport’s future in America and potentially beyond. At this point, it is time to look ahead. As USAW grows to a membership base of 25,000 and counting, the organization is going in a new and uncharted direction. Regardless of how Papandrea performs as Chair of the Board, she will be armed with a new and experienced perspective. In addition to competing on multiple Senior World Teams for the USA and earning the title of Senior International Coach, Papandrea will be one of just a handful of woman to hold the position of Chair of the Board of American Weightlifting. That alone makes me (and hopefully many weightlifting fans) excited. Weightlifting has, traditionally speaking, been geared towards men. The first Weightlifting World Championships for women was not held until 1987, and woman could not compete in Weightlifting at the Olympics until 2000. And I believe American Weightlifting has been a driving force towards the equality of the sexes in this sport. The 1987 Woman’s World Championships were held in Daytona Beach, FL, where Dr. Karyn Marshall became the first female American World Champion. In comparison, 98 federations around the world sent athletes to the Senior World Championships in 2014 and/or 2015. The athletes had a breakdown of roughly 55% men and 45% woman, which makes sense at least on paper, as there are 8 men’s weight categories and 7 woman’s categories. At the International Weightlifting Federation (IWF), the Executive Leadership Group consists of 21 members, with one being female. My hope is that growing gender balance between male and female lifters will lead to more equal representation in the ranks of coaches and federation officials as athletes make the transition from competitors to other roles. It’s important to keep in mind that American Weightlifting is still far from the top echelon of countries on the international weightlifting stage. And getting us there will take time and dedicated effort from a variety of camps. But as Benjamin Franklin and Albert Einstein have been apocryphally quoted, “The definition of insanity is doing the same thing over and over and expecting it to come out different.” I would welcome either thinker to USA Weightlifting. It is my hope that recent personnel shifts indicate the beginning of a forward thinking USA Weightlifting, one rooted in forward progress as opposed to past principles. Ursula Papandrea has my utmost respect as a coach, and I believe her athletic career speaks for itself. I — and many fans of USA Weightlifting — hope she is able to bring fresh ideas as our sport grows in reach and popularity within the United States. Correction: An earlier version of this article stated Papandrea is the first female Chair of USA Weightlifting. The article has been updated to clarify she is not the first in the organization’s history.